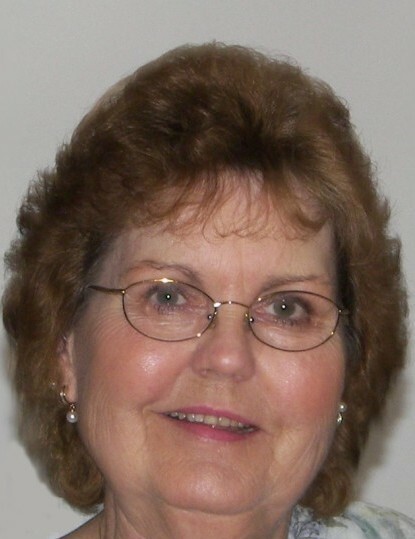 Rock Creek - Betty Yuvonne Hall, age 78, earned her wings Sunday February 3, 2019 surrounded by her loved ones. She was born April 4, 1940 in McDowell, Kentucky to Della Rose (Jones) and Ironton Vance. Betty graduated from McDowell High School before moving to Ashtabula and eventually Rock Creek, Ohio where she lived for almost fifty years. Betty and her adoring husband of sixty years, James E. Hall owned and operated The Combo, a restaurant and game room in Rock Creek. The Combo was her passion project; Betty and James opened it as a way to provide a fun and safe place for the neighborhood kids to hang out. She was always there to listen, mentor, and offer some motherly advice to make the kids feel loved. After The Combo closed, Betty maintained and cherished many of the friendships she made. What Betty treasured most was her time spent at home with her family. She lived for time spent with her husband, children, grandchildren, nieces and nephews, and all of the friends that became household regulars. The perfect Southern homemaker, she would never let you come over without offering you a homemade meal, usually with something fried (and always something sweet). She only had 3 children, but was mom to many; the late-night card games, impromptu pool parties, and family get-togethers were her favorite part of life. Betty was a member of the Rock Creek United Methodist Church where she volunteered for many events and community dinners. She loved to gather with friends and listen to the live music every week at the Thursday Night Jam at the fire hall. Betty was preceded in death by her parents, beloved son James Timothy Hall, sisters Pauline Akers, Mary Elaine Cole, and Sarah B. Vance, and treasured nephew Ronnie Dean Cole.